So much has happened since I last updated my personal blog that I thought I’d scoop it all into one tidy post. Let’s. Dive. In. From one port city to another. On the last day of June, I packed up all my things and moved nearly 3,000 miles across the country from Charleston, SC to Seattle, WA. 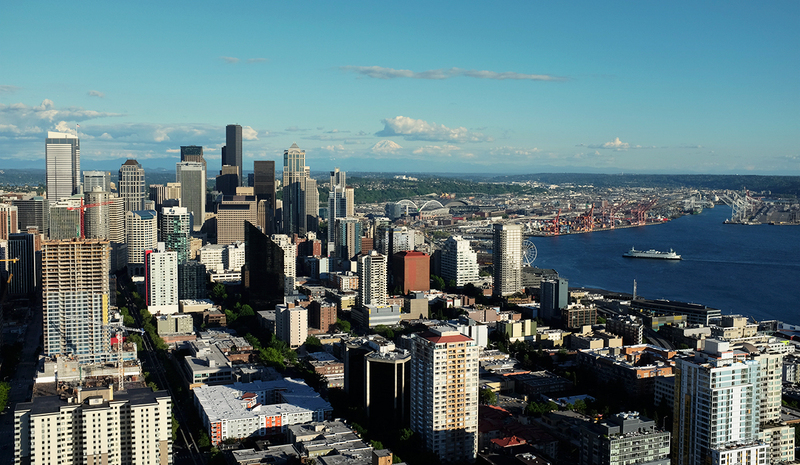 I’ve had one eyeball on the Emerald City for a few years, and it felt like a good time to start a new adventure. I feel quite lucky to continue to work for the amazing people at Fuzzco. Though I miss the guys and gals from back East (and Two Boroughs Larder ramen with shishito peppers), it feels really good to be here. And for those considering cold-moving to a new city, I’m thinking about a blog post detailing everything I’ve learned in the process. I’m excited to be a part of the creative community in Seattle, so if you’d like to grab coffee/beer/boba tea sometime, let’s do it! Email: mr[at]melanie-richards.com. A couple different bits of press for Badass Lady Creatives all happened to make landfall around the same time: I was interviewed for CHARLIE’s 50 Most Progressive, the July issue of HOW magazine, and the Dribbble Timeout series. Many thanks to the sweet people who gave me another forum in which to share BALC. Oh my, this was a special conference. WMC Fest is one of the most affordable conferences I’ve ever heard of, which may contribute to its refreshingly relaxed, friendly atmosphere (and Midwesterners really are that nice). I finally met some COMPLETELY RAD Twitter buds in person, and got to meet some great new people. Margot Harrington, Stewart Scott-Curan, Jeff Finley, and the rest of the WMC Fest gang did a fantastic job putting this conference together. They prioritized a speaker lineup that better represents all the many perspectives our design community has to offer. Between a thoughtful speaker roster and the panels discussing race, gender, and the validity of “do what you love”, the tone of this conference was “let’s look out for each other, let’s be good to each other”. 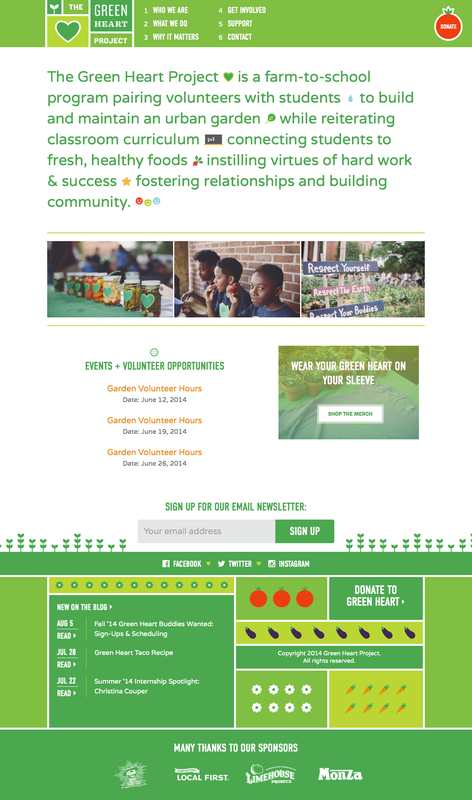 Branding, illustration, and web design for The Green Heart Project. Semi-recently, the lovely House interviewed me for the Metis blog. 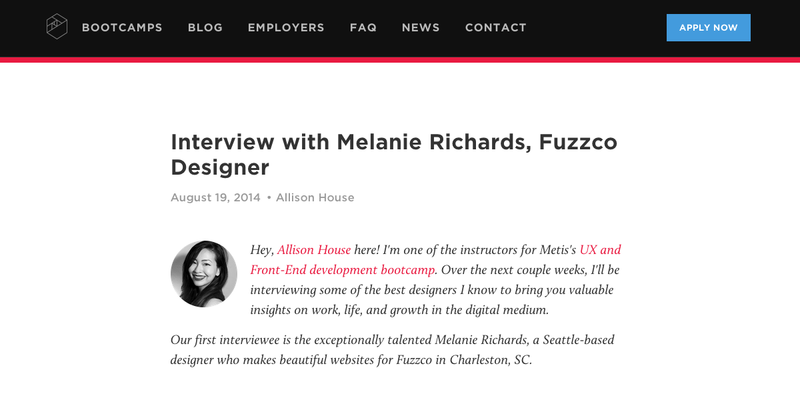 It was fun to share a little bit about how I got into web design and front-end development, which might be helpful to beginning web creatives taking Metis’s courses. A new site, sort of. Though I still consider it temporary*, I did a little fussing with the site. For this version, I strayed from Typekit offerings in favor of Brandon Text and Griffin Moore’s Range. This is also the first time I’m using Kirby, a flat-file CMS. I had previously used Wordpress to power my site, but I felt the simplicity of a designer’s portfolio/blog doesn’t warrant the bloat of WP, or the load time spent making database requests (particularly when my host’s MySQL server gets bogged down). * Do as I say and not as I do, eh? Someday I will have a body of work up. H’okay, that’s everything in life up to this point. Bring on the autumn!